Francis Suttill was born in Lille, Grance, in 1910. His father was British and his mother French. He was educated in Britain (Stonehurst College) and France (University of Lille). Suttill worked as a barrister at Lincoln's Inn and on the outbreak of the Second World War he joined the British Army. 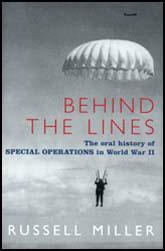 Later he was recruited by the Special Operations Executive (SOE). 1942 the SOE decided to get Suttill to establish a new network called Prosper in and around Paris. On 24th September, 1942, Andrée Borrel was parachuted into France to prepare the way for Suttill who arrived on 1st October. A wireless operator, Gilbert Norman arrived in November and a second operator, Jack Agazarian, arrived the following month. Suttill was impressed with Andrée Borrel and despite her young age in March 1943 became second in command of the network. He told the Special Operations Executive in London that she "has a perfect understanding of security and an imperturbable calmness." Suttill and Jack Agazarian became increasing concerned about the loyalty of Henri Déricourt. In May 1943, Suttill returned to London and he passed on these fears to Nicholas Bodington and Maurice Buckmaster. However, they were unconvinced and refused to recall Déricourt to Britain. On 12th June 1943, Suttill returned to France. On 23rd June, 1943, Suttill was arrested at the hotel he was staying at in the working-class district of Porte St. Denis. Andrée Borrel and Gilbert Norman were also arrested on the same day. When Noor Inayat Khan, who had just arrived as a wireless operator for Prosper, discovered that Suttill had been arrested, she reported back the disaster to the Special Operations Executive in London. Suttill was taken to the Gestapo headquarters at 84 Avenue Foch. Suttill was tortured for several days and according to Ernest Vogt he eventually did a deal with the Germans. This included Suttill giving the Germans details of ammunition dumps in exchange for the promise that the people guarding them would not be killed. However, according to another German agent, Joseph Kieffer, it was Gilbert Norman who gave the Gestapo this information. Some historians have questioned the truth of these allegations believing that Vogt and Kieffer were protecting the identity of the double agent, possibly Henri Déricourt, who gave them the information. 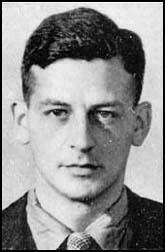 Francis Suttill was executed on 21st March 1945. (1) Francine Agazarin, was interviewed by Liane Jones for her book A Quiet Courage (1990). (3) Jean Overton Fuller, open letter to the makes of Churchill's Secret Army, broadcast in January/February 2000.